SCORED BY SIDNEY CROSBY IN GAME 3 OF THE 2016 EASTERN CONFERENCE QUARTERFINALS AT MADISON SQUARE GARDEN IN NEW YORK. 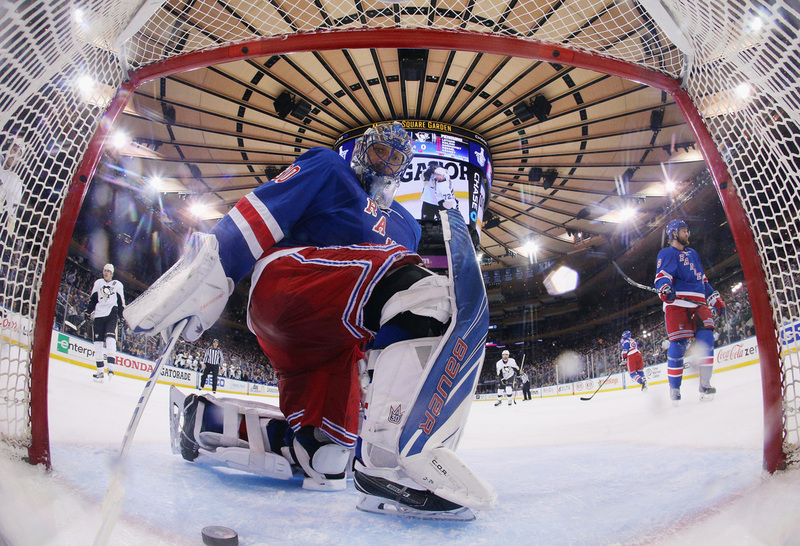 The Penguins met the New York Rangers in the 2016 Eastern Conference First Round. 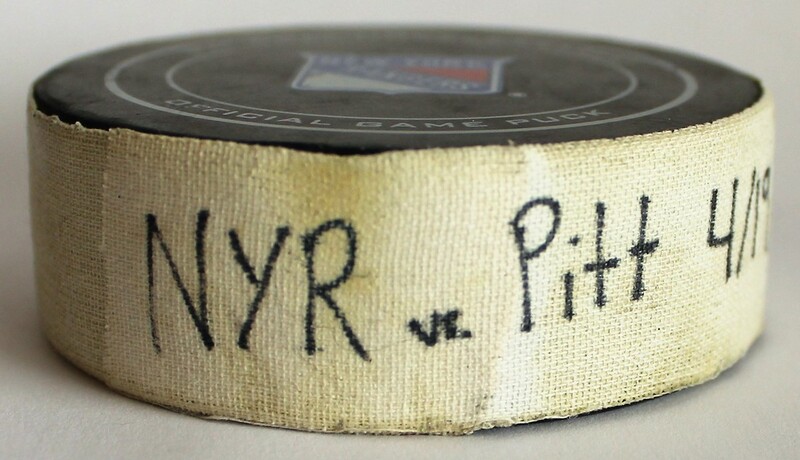 After splitting the first two games of the series in Pittsburgh, the Rangers took control in Game 3 with Rick Nash's power-play goal 29 seconds into the second period. Late in the second period, with Marc Staal in the penalty box for hooking Carl Hagelin at 19:00, the Penguins power-play went to work. 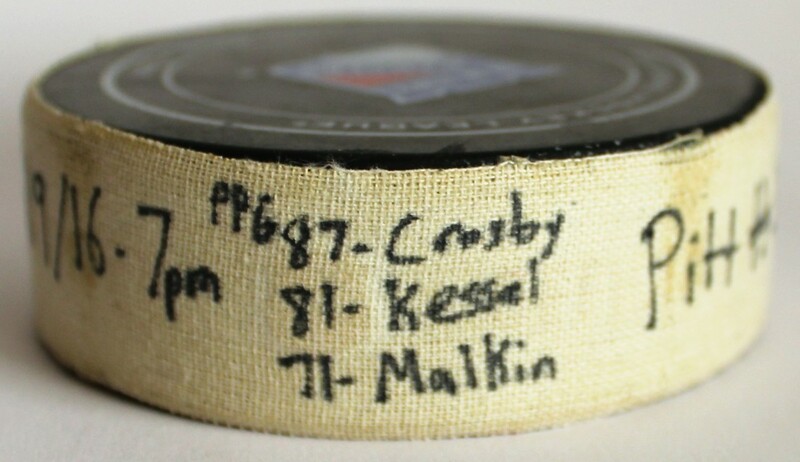 Just 18 seconds after the penalty, the Penguins regained the momentum of the game and series as Evgeni Malkin, who was set up at the left point, found Phil Kessel at the left circle faceoff dot who rifled a cross-crease pass to Sidney Crosby who deflected the puck past Rangers' goalie Henrik Lundqvist. The goal tied the game at 1-1 heading into the third period. 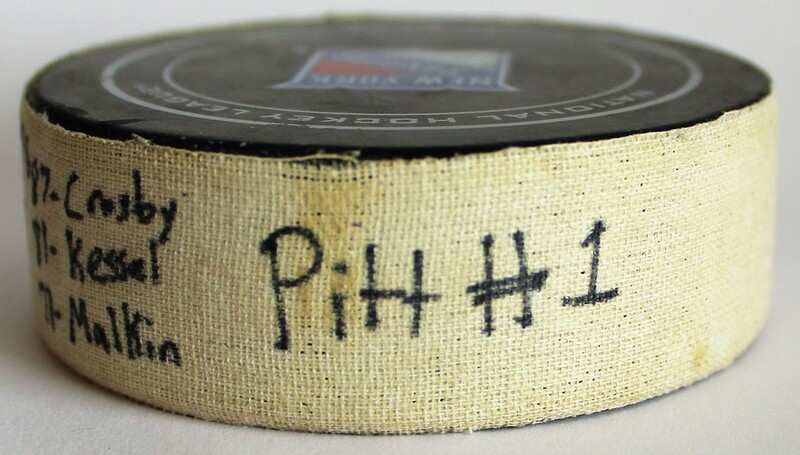 Matt Cullen scored 4:16 into the third period to give the Penguins a 2-1 lead before Kris Letang scored an empty net goal with 13 seconds to play to seal the win. The Penguins took a 2-1 series lead and never looked back winning the next two games to advance to the Eastern Conference Second Round against Washington. 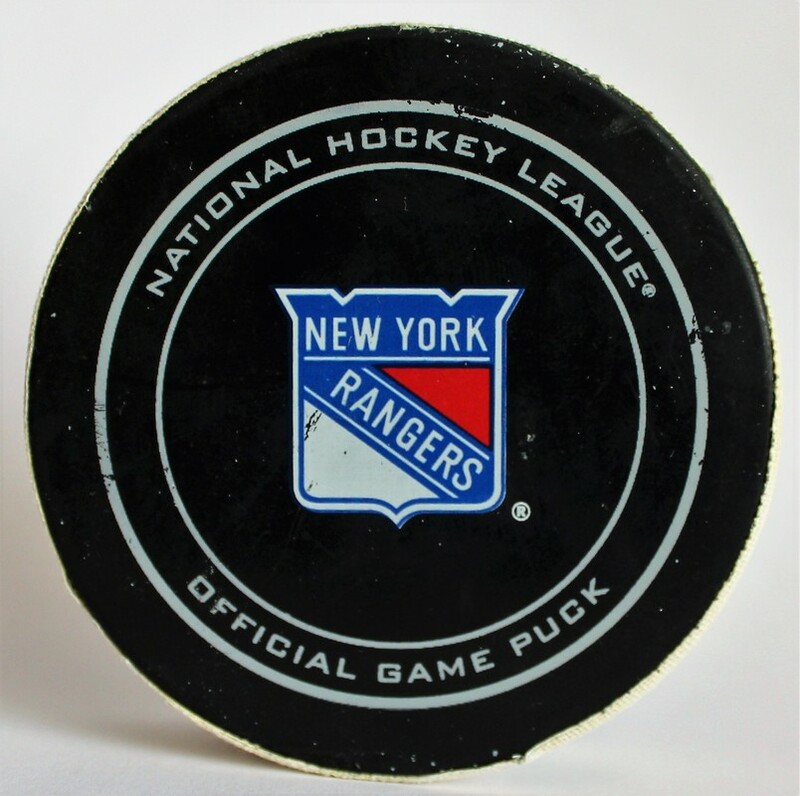 This puck was scored by Sidney Crosby at 19:18 of the second period in Game 3 of the Eastern Conference First Round at Madison Square Garden against the New York Rangers. 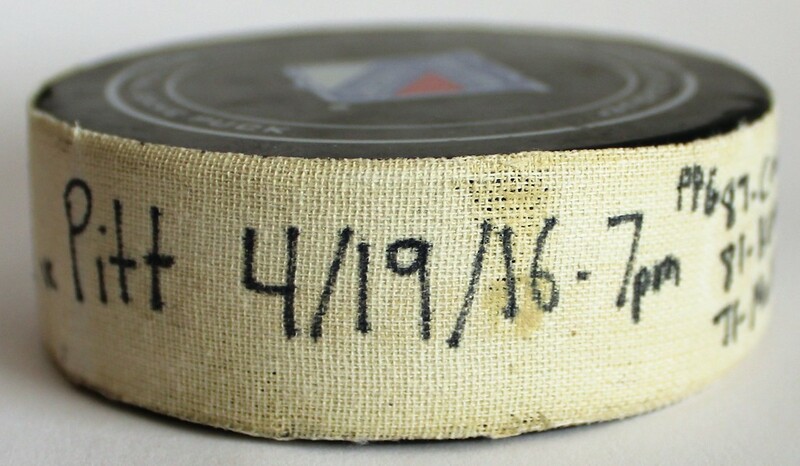 The goal was Crosby's second of the 2016 Stanley Cup Playoffs and 45th Stanley Cup Playoff goal of his career. The power-play goal was assisted Phil Kessel and Evgeni Malkin. 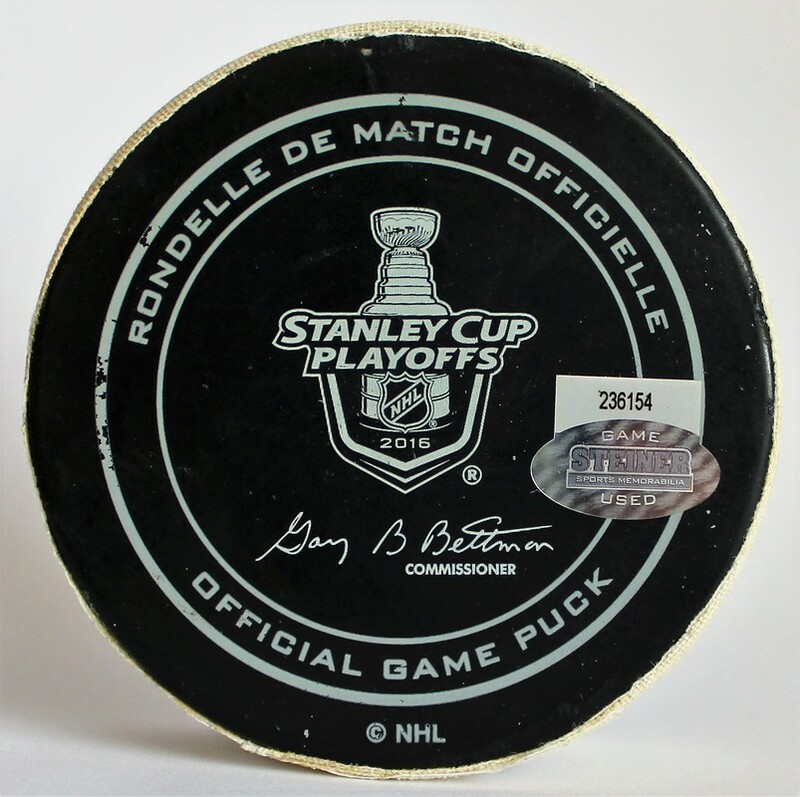 The puck was acquired by PenguinsChronicles.com ​​from NHL Auctions on June 2, 2016. 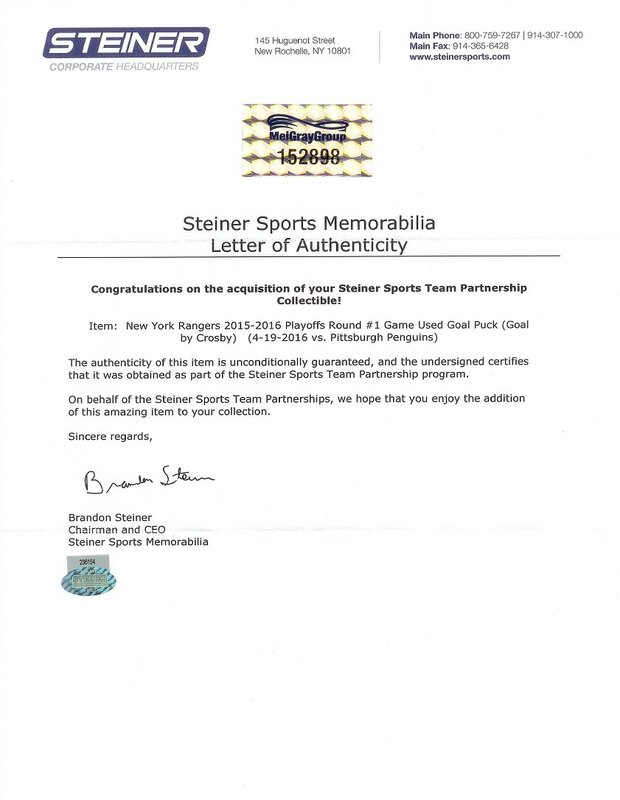 The puck was part of the Steiner Sports Team Partnership program with the New York Rangers and was sold via The MeiGray Group at NHL Auctions. 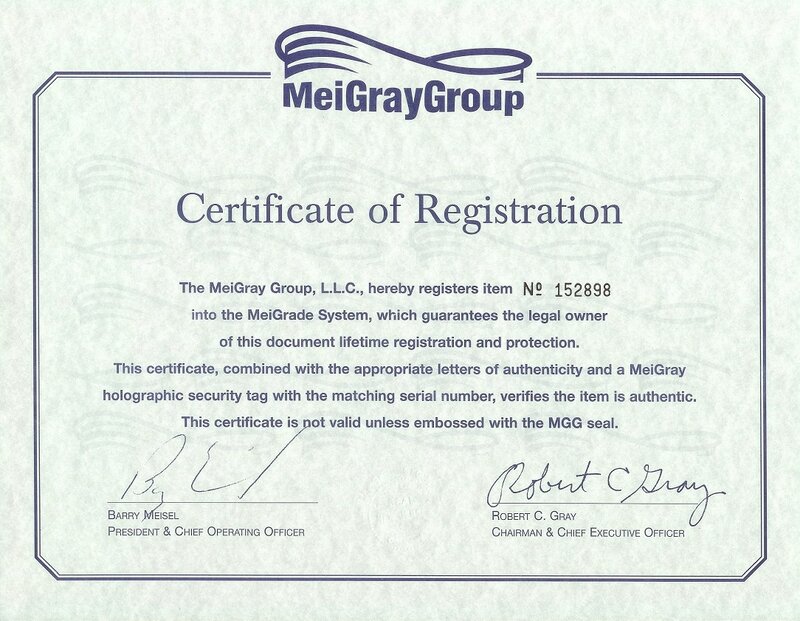 A Steiner Sports Memorabilia Letter of Authenticity and MeiGray Group Certificate of Registration were included with the puck.